B2d How Dare I Be So Beautiful? 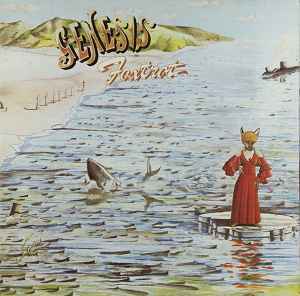 Published By – Genesis Music Ltd. This issue surprised me a bit. I have the same indicators for my German SEBTP copy and bought them at the same time from a store. Given that I assumed they would be similar in quality but this sounds much more low end and even muffled in comparison. Perhaps its really supposed to be like that but purely speaking of audio technicallity I think it could sound more open on a lot of tracks. Its still good but the Selling England by the pound issue they likely made at the same time is far superior to my ears. Try the original German release instead (which is thos one), if its the same at least you have a release closer to the original. Or a UK original if you can afford it, you want a copy close to NM like mine. The pops and crackles can really ruin it otherwise, luckily the pressing is great otherwise, next to no surface noise.